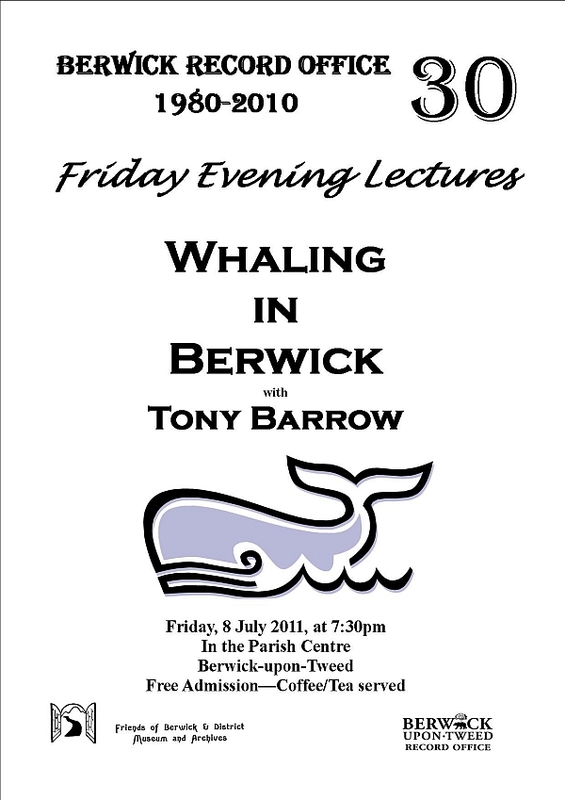 Whaling in Berwick is the title of the next talk in the series held by Berwick Record Office to celebrate their 30th anniversary. 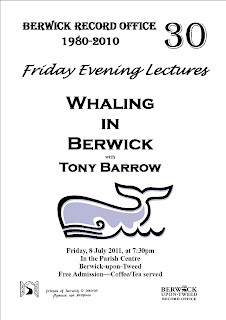 Well-known local maritime historian Tony Barrow will be talking about the importance of whaling to the town and about some of the key people involved. It’s a fascinating story. The talk will be illustrated. This is a talk not to be missed by anyone interested in the history of Berwick or the fishing industry. It takes place on Friday 8 July at 7.30 pm at Berwick Parish Centre, The Parade, Berwick-upon-Tweed, TD15 1DF, England. Map. It's next to Holy Trinity Church. Entrance is through the churchyard. The suggested car parking is in the car park next to the churchyard.